Wedged between Tibet and India, Spiti Valley has forever endeared visitors with its forbidding yet beautiful landscapes and mystic cultures. The long journey here entails some of the most mesmerizing vignettes of mountain scenery and cultural landmarks. Himachal Pradesh boasts a charming culture, rustic traditions blended with colonial influences. Lately, this state has attracted more cosmopolitan crowds, young people from all over the world looking for their personal Shangri-las. Spiti is becoming an integral part of the itinerary. Spiti Valley has something for everyone – the nature photographer, the spiritual backpacker or the adventurous road-tripper. Those who are interested in Buddhist culture will love a trip to Spiti. The Valley is home to two famous monasteries, the Key Gompa and the Tabo Gompa. Key Monastery looms over the valley with the backdrop of barren cold mountains. The rich mural paintings of the monastery are world famous for their detail and artisanship. 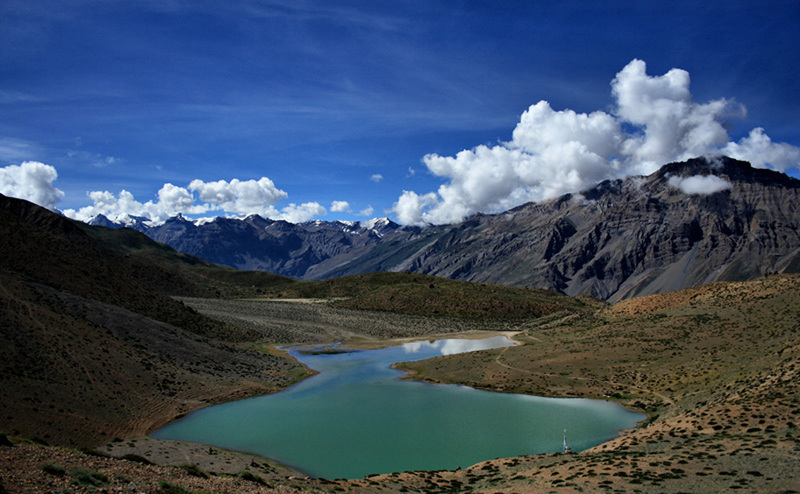 The high-altitude lakes of Spiti are another defining feature of the landscape. The crescent-shaped Chandratal is very close to the Kunzum Pass. The Suraj Tal Lake on the best days is set against deep azure skies and the sheen of snow-capped mountains, a visit here is like walking into a postcard. Located in Spiti, Pin Valley National Park is an expanse dedicated to the wildlife of the Himalayas. Spotting a snow leopard will need a lot of patience and luck but some of the other endemic species you can sight include bharals, foxes and marmots. If you are a bird watching enthusiast, look out for golden eagles, griffon vultures and other high altitude species. Visitors who are acclimatized to the thin air are recommended to spend a day at Kibber, one of the world’s highest villages at above 4200 metres. When it Spiti, do try out the local tea – it is completely different from the chai that you are used to. You can use a Shimla car rental to explore the mountains of Himachal Pradesh in complete freedom. Shimla to Spiti is a recommended road trip. It includes interesting destinations like Manikaran and Kullu and the 450-km route via NH505 is very scenic. Many break this route with a long pit stop at Manali. Manali is a good base to explore Spiti, 4 hours away from the Valley. In Spiti Valley, the main town is Kaza, located on the banks of the frigid Spiti River. To say Spiti Valley gets pretty cold is an understatement. Heavy snowfall and ice formation make this valley inaccessible during winter. It is fairly common for roads to get snowed in. The end of May to September is considered to be the best time to visit Spiti Valley. Find a taxi booking service that gives you a hassle-free experience. A well-maintained and clean car with heating features and ample space is what you need for such a trip. The high Himalayas of India provide soul-stirring experiences to thousands who venture here every year. Plan your trip now.